Israel is the mysterious "ally" that shared intelligence related to airport security with the US which Trump in turned shared with the Russians, The New York Times is reporting. The entire basis for this story was Trump's minor disclosure, which NBC News' Richard Engel reported Russia already knew about, could hurt our relationship with an unnamed "ally." If it was Turkey, perhaps it could have a minor reverberation, though even that's doubtful. Seeing as how it's Israel, our "greatest ally" whom the US is giving record amounts of aid to and already earlier this year outrageously plotted behind the scenes not to share intelligence with the Trump administration, that means this is a complete non-story. That said, Israel should be taken to task for playing this fake story up as though it was some sacred betrayal. In reality, McMaster is saying the information was available through "open-source reporting," meaning this was just the same news which went around the world two months ago about terrorists hiding bombs in electronic devices, which triggered the US and the UK to ban a host electronics on flights from several Middle Eastern countries. WASHINGTON � The classified intelligence that President Trump disclosed in a meeting last week with Russian officials at the White House was provided by Israel, according to a current and a former American official familiar with how the United States obtained the information. The revelation adds a potential diplomatic complication to an episode that has renewed questions about how the White House handles sensitive intelligence. 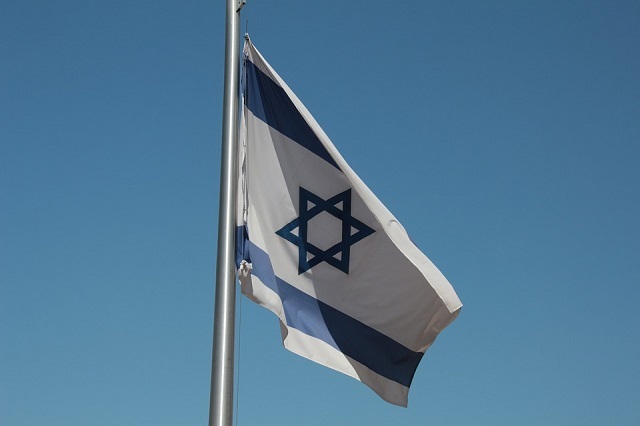 Israel is one of the United States� most important allies and runs one of the most active espionage networks in the Middle East. Mr. Trump�s boasting about some of Israel�s most sensitive information to the Russians could damage the relationship between the two countries and raises the possibility that the information could be passed to Iran, Russia�s close ally and Israel�s main threat in the region. Israeli officials would not confirm that they were the source of the information that Mr. Trump shared, which was about an Islamic State plot. In a statement emailed to The New York Times, Ron Dermer, the Israeli ambassador to the United States, reaffirmed that the two countries would maintain a close counterterrorism relationship. �Israel has full confidence in our intelligence-sharing relationship with the United States and looks forward to deepening that relationship in the years ahead under President Trump,� Mr. Dermer said. Fortunately for The Washington Post and The New York Times, this whole fake scandal has already been brushed under the rug thanks to the latest Comey leaks. The real scandal here is how the deep-state-media-industrial-complex is working feverishly to undermine Trump's presidency by any means necessary. This is a stunning usurpation of the "democracy" the left claims to hold dear.